Affiliates Import is an extension for Affiliates, Affiliates Pro and Affiliates Enterprise. 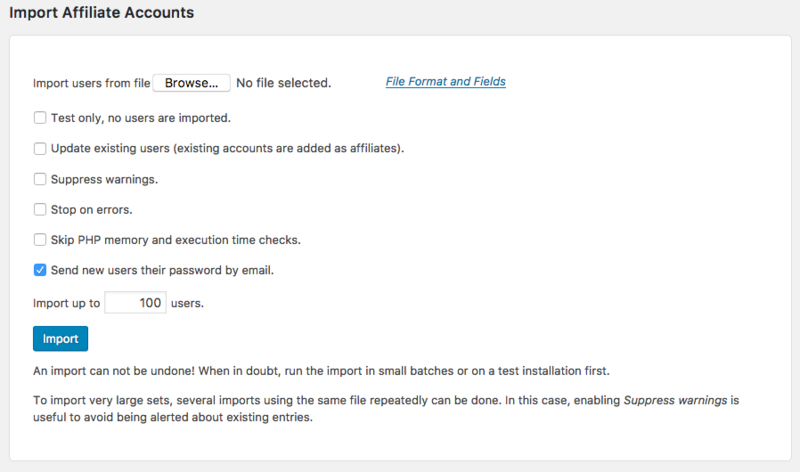 It allows to import affiliates in bulk from a text file. You can use this tool to migrate from another affiliate system or to import batches of affiliate accounts in general. This tool works with plain text files to import affiliates. An easy to use and spreadsheet-ready file format is assumed, where user data is provided on a line with information like username and email separated by tabs. Please see the Documentation for details on how to use it.